(Reuters) - Warren Buffett's Berkshire Hathaway Inc boosted its investments in Goldman Sachs Group Inc and Israel's Teva Pharmaceutical Industries Ltd during the second quarter and confirmed it has expanded its already huge bet on iPhone maker Apple Inc. The changes were disclosed on Tuesday in a regulatory filing detailing Berkshire's U.S.-listed stock holdings as of June 30. 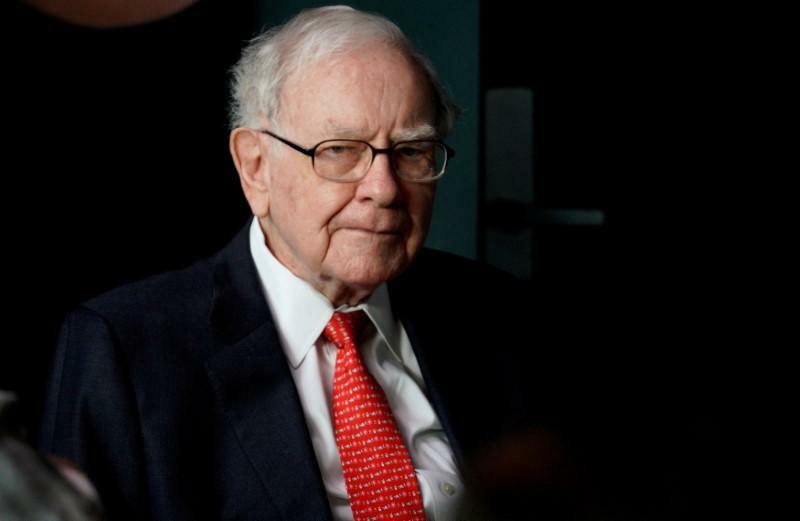 Investors closely watch Berkshire's quarterly stock listings for signs about where Buffett and his investment managers Todd Combs and Ted Weschler might see value. The Teva stake grew 7 percent to 43.25 million American depositary receipts worth about $1.05 billion. Teva's ADRs rose 1.2 percent after market hours. Buffett, who turns 88 on Aug. 30, often buys stock when he cannot find whole businesses to add to Berkshire's stable of more than 90 companies in the insurance, energy, food and retail, industrial, railroad and other sectors. Several of the portfolio changes affected bank and airline stocks, reflecting Buffett's usual policy not to own more than 10 percent of a company's shares. In Tuesday's filing, Berkshire reported higher stakes in Axalta Coating Systems Ltd, Bank of New York Mellon Corp, Delta Air Lines Inc, General Motors Co, Liberty Global Plc, Southwest Airlines Inc and US Bancorp. It reported lower stakes in American Airlines Group Inc, Charter Communications Inc, Phillips 66, United Continental Holdings Inc and Wells Fargo & Co, and no longer reported a stake in data analytics company Verisk Analytics Inc.